Grand Theft Auto IV turns 10 in just a few days. That birthday also comes with the unfortunate gift of licensing expirations — specifically regarding the game’s soundtrack. Rockstar announced that it would be removing many songs from GTA IV with a patch that went rolled out today. 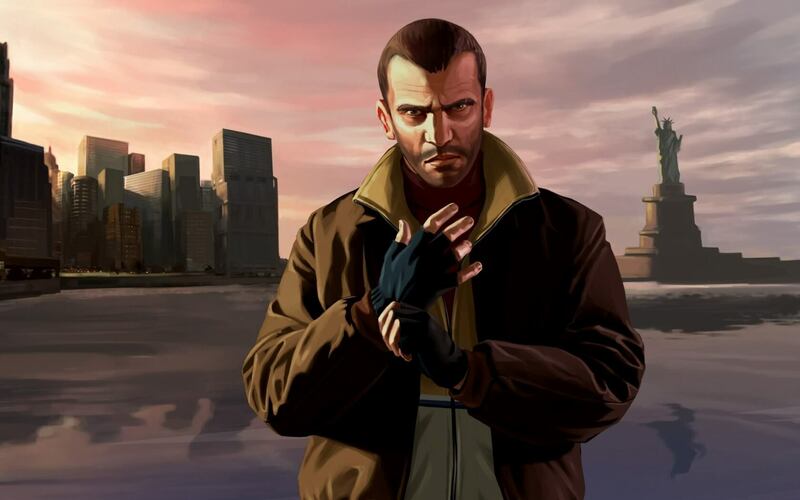 Several tracks from the Russian radio station Vladivostok FM will be removed, which somewhat ironic being that the game’s protagonist Niko Bellic is Russian. Fortunately, Rockstar is replacing the songs with other Russian tunes, but without iconic tracks like Glukoza’s “Schweine” and Ruslana’s “Wild Dances,” the station will just not be the same. Other songs that are getting the ax include The Smashing Pumpkins “1979,” David Bowie’s “Fascination,” and Stevie Nicks' "Edge of Seventeen." Posters to the GTA forums have been posting lists of removed and added songs by digging through the patch. "Due to music licensing restrictions, we are required to remove certain songs from the in-game soundtrack of Grand Theft Auto IV and its Episodes, in particular a large portion of the Russian pop station, Vladivostok FM. However we are replacing some of those songs with a new set of songs on that station. We will update our customer support website with new information as soon as it is available." The removal of songs from GTA games is nothing new. According to Kotaku, GTA: Vice City and San Andreas both received patches removing songs at about the 10-year mark. What made players mad the last time around was Rockstar slipped them the San Andreas patch without letting them know that it would remove some of the music. At least this time players have been forewarned. Nonetheless, players will not be able to skip the update to keep the original soundtrack — at least not officially. It is not difficult for developers to brick an unpatched title, especially on consoles. They do it all the time by not letting the game start until the newest patch is installed. However, players with physical editions of the game might be able to avoid the patch by being sure that their consoles are offline before starting up the game. For PC, some users have already reported that by keeping their Steam accounts offline and making backups of specific game data, they were able to go ahead and replace the corresponding files in the patch. Many fans are mad about the changes and have even accused Rockstar of “being greedy” for not updating the licensing, but realistically, how long can you expect a game developer to keep shelling out on a 10-year-old title that only has a handful of players left? Personally, I love GTA IV and think it is far superior to GTA V, but even so, I have not played as Nico Bellic in well over five years. And honestly, changing the soundtrack is not going to break what is already a great game.